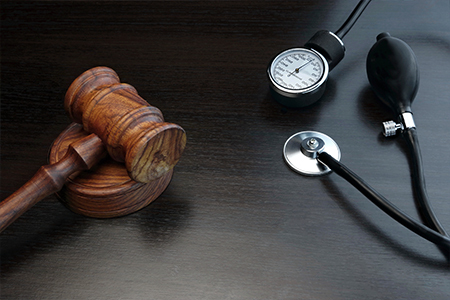 As a whole, personal injury law is a widely misunderstood field of law. If you ever find yourself in a situation where you may need the help of a personal injury expert, we want to make sure you’re prepared and understand what you’re getting into. Here are the top five myths we hear about personal injury law to help you get started. 1. I don’t need a lawyer if I only suffered minor injuries. Let’s say you were involved in a car accident. On the surface, you appear fine. You don’t have any broken bones, you don’t have any cuts or scrapes, and you didn’t see the need for an ambulance ride after the incident. However, a few hours later, you notice that your neck has never felt this stiff or sensitive before. Insurance companies may try to dismiss you because your injury seems minor in comparison. But a sprain or similar injury could actually lead to more serious and painful neck pain years down the road. Your personal injury lawyer can help you get the medical treatment you need—now and in the future. 2. Personal injury cases are long and tiresome. Many personal injury cases are resolved before they even make it to trial. Depending on the accident, the complexities of the case, and your lawyer’s speediness, your case could be resolved within a year of filing—with many cases taking even less time. 3. My insurance will cover everything, so I don’t need a personal injury lawyer. Your insurance company will try to get away with paying you the bare minimum—sometimes, even less than that—after an accident. After a car accident, for example, your costs could include repairing or replacing your vehicle, medical bills, lost wages, and more. Your insurance company makes money by pressuring you to settle for less than you deserve. In contrast, your personal injury lawyer can help make sure that you get all the money you are entitled to by putting your best interests ahead of the interests of an insurance company. 4. Personal injury lawyers are only worried about their own financial gain. Contrary to what you may have seen in a movie or TV show, most personal injury lawyers genuinely care about your well-being. They chose this specialty because they want to help those whose rights might not otherwise be protected. Your personal injury lawyer should advocate on your behalf so that you can effectively stand up to whomever has done you wrong. 5. Filing a personal injury case guarantees me compensation. Unfortunately, this is not true, and if a lawyer guarantees you anything, you shouldn’t trust their word. While your lawyer will do everything in their power to get you the compensation you deserve, no two cases are alike, and nothing can be guaranteed 100% when it comes to your individual situation. Once your lawyer has a better understanding of your case details, they can give you an idea of a realistic outcome—but their prediction does not guarantee anything. Need an expert’s opinion on your personal injury case? Our personal injury lawyers are available to analyze the details of your case and help you get the settlement you deserve. Learn more about our legal services below.